Partmo’s rigid panel filter are constructed on a solid structure with synthetic polyester thermoformed fibers with sequential progressive filtration characteristics, high capacity and efficiency, with low restriction and high air flow capacity. They are incorporated in the line of filters for air of panels type and rigid coaxial, Quality Flow for automobiles and light vehicles. 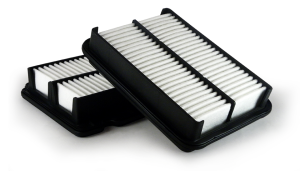 We understand our responsibility as Filtros Partmo is protecting diesel and gasoline vehicles and equipment, we utilize filter media according to original equipment specifications.